Children grow up in a society that demands expertise in everything. You can’t sit back and decide that learning from textbooks is enough for the overall development of your child. It’s the age of specialization and your child cannot afford to miss out on this window of opportunity. So, scour your community for the most advantageous programs and enroll them for the ones you think are the best. After school programs are basically designed to develop a talent or a skill that is ignored by regular schools. These programs could be educational or recreational in nature. Whatever type they are, they aim to keep the child active and interested. The most important advantage of a good after school program is that it widens your child’s area of interests. He or she is introduced to new things, sometimes interesting, sometimes challenging. Mastering a new art form or a new skill increases the child’s self-esteem. It also allows you to introduce your child to new career options. A child attending a music class may decide that she likes it so much that she wants to make a career out of it in the long run. Afterschool Alliance Nonprofit organization dedicated to raising awareness of the importance of afterschool programs and advocating for quality, affordable programs for all children. 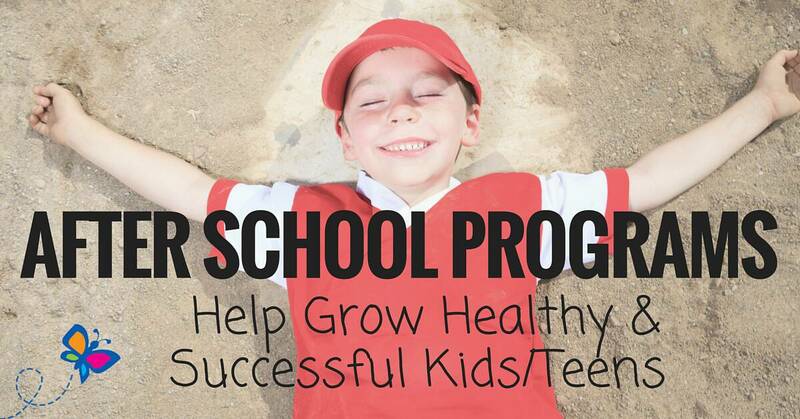 It is supported by a group of public, private and nonprofit organizations that share the Alliance’s vision of ensuring that all children have access to afterschool programs by 2010. Afterschool.gov Offers one-stop access to government resources that support after school programs. The site is designed for anyone who cares about kids ages 6-18, including providers, parents, kids, and teens. National AfterSchool Association – NAA is dedicated to the development, education, and care of children and youth during their out-of-school hours. School Age Notes is a publisher and retailer of books, videos, DVDs, music CDs and other resources for after-school professionals and after-school programs and summer programs geared to school-age children. 4-H Afterschool provides opportunities to participate in fun, exciting programs while developing valuable skills with lifelong benefits. Afterschool Programs From Vision to Reality – Workshop examining the benefits that a quality afterschool program can provide to students, their families, and their community, and discussing ways to create and sustain such programs.